The brothers and sisters of the UMA organise a number of activities and support a number of organisations within the Muslim Community. The UMA focuses on a number of areas of da’wah which targets a variety of people and their respective backgrounds; including Muslims and non-Muslims, new Muslims, school children, and many others. With all these activities that the UMA has either initiated or is currently supporting, a lot of resources and effort is needed from many people within and outside the UMA to endorse these projects. One way you can support these activities is through your financial support. 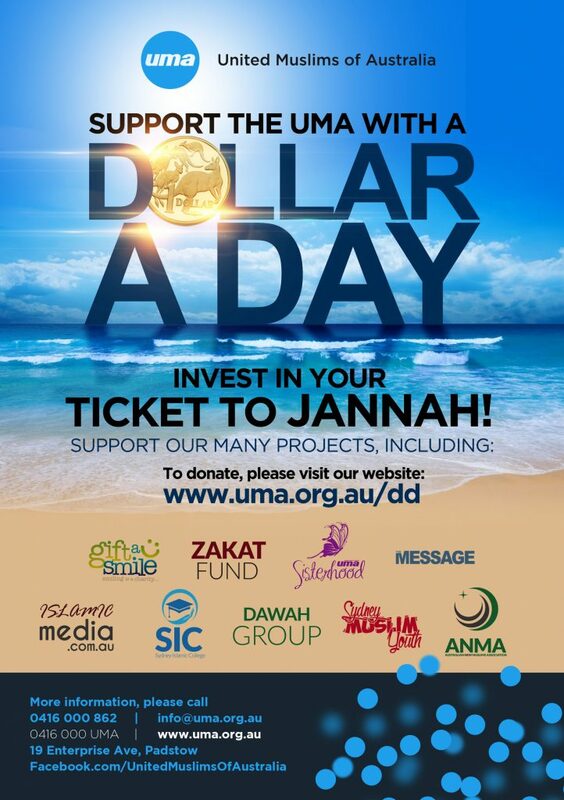 With your financial support, you will also be rewarded highly by Allah (swt) for your donations. Keep in mind that any good act resulting from your donations will result in your good deeds being multiplied, even if that good action was to continue until the Day of Judgement.